Student welfare. So welcoming. Friendly. Open. Or is it? Over the course of this week I, leader of Violet's hitherto unknown division of investigative journalists (we have historically kept a low profile, of course, but we have always been behind Cambridge’s most explosive stories and deserve credit), have uncovered a conspiracy concerning student welfare groups that is possibly uni-wide. This discovery has come at a cost. As I am typing this I’m currently on the run from hired assassins. (If I survive this the Cambridge Assassin’s Guild will be the next one I expose, as it’s insane how in this day and age the university can train students to become highly-skilled killers.) I’ve survived by alternating between the North and South Wing of the UL. This article will offer a timeline of how I got to where I am. For my own safety I’ve not mentioned the names of any people involved (I mean, it’s not like my name is at the top of the article). It all began on Saturday 12th May, when Emmanuel set up a bouncy castle, only for it to be deflated within hours because of rain. Upon hearing this news, my mind flashed back to GCSE science. Rain is made of water, and water isn’t sharp, so it was impossible for the rain to have deflated the bouncy castle. When this is considered alongside the fact that it’s summer, when rain is illegal, only one conclusion can be reached: SABOTAGE! This rain was faked, a mere ploy to deflect attention from the real culprit. But who is this culprit? They obviously must be powerful to have staged the weather so convincingly. Now, as logical as this is, I am not one to turn to conspiracy theories and I have faith in all authorities, so I dismissed the rain as simply being a coincidence. In hindsight, such thinking was naïve when the evidence was so clear before me. Signs of an underlying menacing presence to welfare reared its head once again. A dog employed to reduce stress at another college (Sidney Sussex) had to resign from the role of being taken for walks by students, due to the dog itself getting stress. The dog has not been seen in the public eye since. Now, I’m no vet, but one thing I know about dogs is that they love walks and paparazzi. The fact that the dog still felt compelled to resign despite having the dream job suggests a hostile working environment, and by extension the existence of bullying. Once the bullying began (my sources are trying to determine when it started but it's a difficult task – the college are refusing to start an inquiry), the dog’s demise was inevitable. Yes – I believe that the dog has died. At this point I have established evidence of an inter-college conspiracy to undermine welfare from within. But for what purpose, I hear you ask? This initially stumped me too. I went to Cambridge Crepes on Sidney Street to clear my head. (Don’t judge me – Varsity doesn’t pay and being on the run is expensive.) My college has a lunch discount there. When paying I asked how many colleges get the discount to which I got the reply of “only (ONLY) ten”. Suddenly, it all came to me… student discounts also exist at McDonald's and Nanna Mex to name a few. The constant welfare tea and cake, tea and cake. A lightbulb clicked. The student welfare teams are in tandem with food corporations, slowly removing all welfare activities that aren’t linked with food, to sedate students with a constant supply of food. 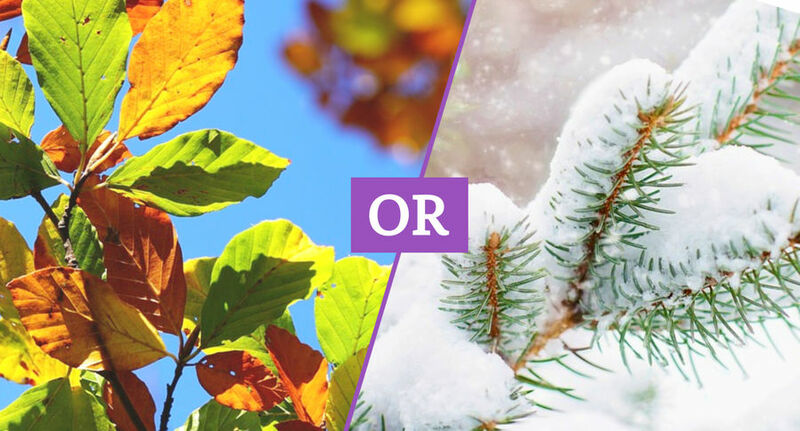 Are you deciduous or evergreen? But I fear I may have been too late in discovering this. Today, I almost never made it to the UL because my staircase was blocked by a queue for a welfare chocolate fountain. (I’m literally not even joking.) It appears that students are being manipulated according to the desires of student welfare. I don’t yet know what their aim is but I hope to find out soon, if I make it till then. In the meantime, RESIST.